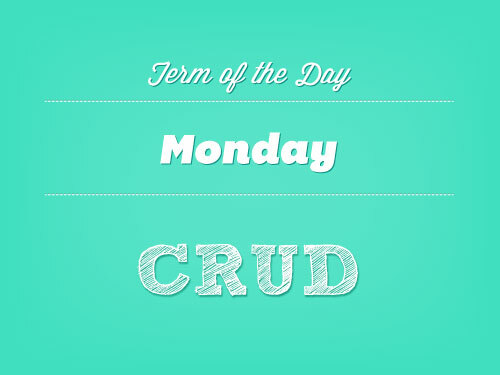 CRUD stands for create, read, update, and delete and those are the four most basic things you can do to data. CRUD stands for create, read, update, and delete and those are the four most basic things you can do to data. In order to be considered complete, a web app must allow users to accomplish these four tasks. Let’s for a second forget about CRUD and think instead about human life. If we were to distill the lives of all 7 billion people on earth down to their most basic, universal parts, they all have the following in common: everyone is born, everyone lives, everyone grows (develops, or changes) and lastly, everyone dies. Humans, we might say, have BLGD (pronounced blogged). Beyond these four BLGD commonalities there are infinite variations and complexities. But we can all agree that those four things are the fundamental truths of human life. CRUD are those four basic commonalities for all data and web apps. Every web app in the world does a variation of those four actions to data—it creates data, it reads data (meaning it shows the data), it updates the data, and it deletes the data. When you log into Facebook and post a status update you create an update. You can then read the update, edit (ahem, update) the update, or delete the update. Facebook status updates make full use of CRUD. Likewise, when you write a blog post on WordPress you can create the blog post, you can read the blog post, you can update the blog post, and you can delete it. Thus, WordPress also allows you to perform all four functions of CRUD. What other examples of CRUD can you think of? Find CRUD too, you know, cruddy? Well if you prefer you can swap it out for the more pleasant, if slightly more verbose, BREAD – “Browse, Read, Edit, Add, Delete.” Same actions, different acronym. 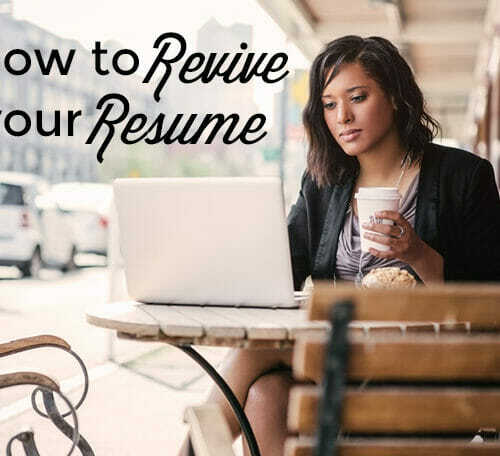 Do you have these 4 things on your resume? Delete them immediately!